View down Upper Michigan Boulevard. Pedestrians, automobiles, and a double-decker bus can be seen among tall buildings. 1910? A Wikipedia moment: Forgotten Chicago is an organization that seeks to discover and document little known elements of Chicago’s infrastructure, architecture, neighborhoods and general cityscape, whether existing or historical. The organization features many of these often overlooked elements of Chicago’s architecture to a wide audience to increase interest in their preservation. 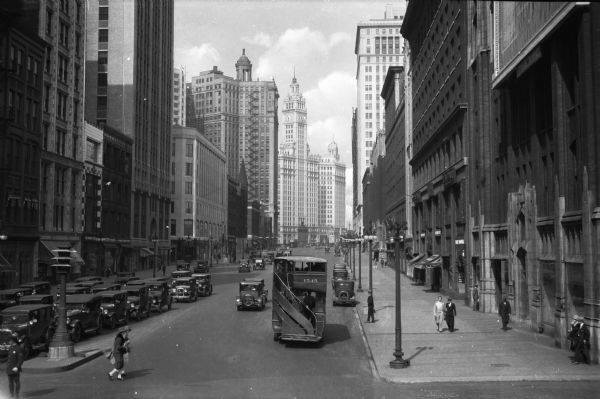 In addition to conducting research and publishing articles on their website, Forgotten Chicago also leads neighborhood walking tours and holds free presentations at area libraries. I follow Forgotten Chicago on Facebook. Everyday I find a fabulous photograph that has something to do with Chicago’s architecture etc. The comments that are left from names I sometimes can’t pronounce, old and young alike, people remembering, asking questions….they are the VOICE of Chicago. I highly recommend you become a Facebook friend. Like other social media, it has led me to places I am grateful to know about. 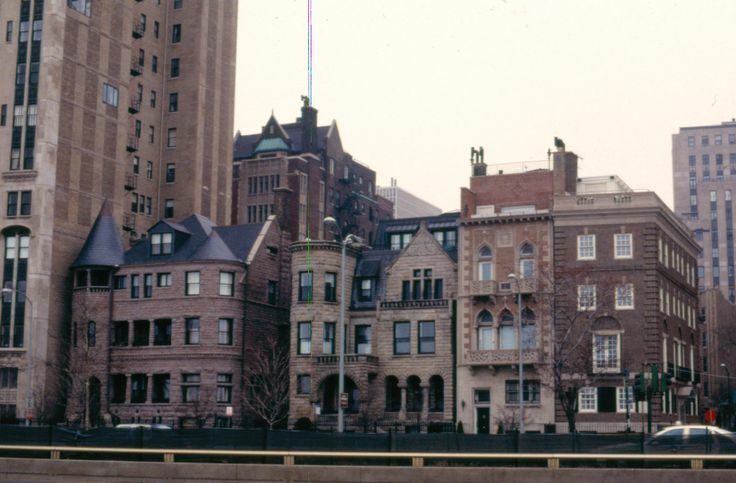 In the late 1980’s the City created the Chicago Landmark Seven Houses on Lake Shore Drive, here are four of the surviving mansions on the 1200 block with the three surviving mansions on the 1500 block. My new novel, Facing East is set in the Gold Coast area of Chicago and will be published sometime in April. This entry was posted in AtoZ Blog Challenge April 2015 and tagged Facing East-Novel, Forgotten Chicago, Stepheny Houghtlin-Author. Bookmark the permalink. Not made it to Chicago yet, but will do one day. Hope you will enjoy these posts that will be partially about Chicago and area. Next best thing to being there in a few short minutes. Through the #Challenge, you will be have a chance to visit Chicago and the other settings for the new novel. Let’s meet at Marshall Field’s, and have lunch in the Oak Room. With our imaginations, anything is possible. One of my very favorite cities! I love the Field Museum there. Chicago is an amazing place. A city that works and offers great food, cultural opportunities. You know that since you’ve been to the Museum and beyond. Wish we could have a cup of tea together at one of many choices we could pick from. Wish we could meet up at the Museum. I haven’t been there since I was a kid. It is a special city with endless things to do and appreciate. Great food! We can pretend. I will see you at the dinosaur exhibit. Neat photographs, Stepheny. I love looking at old photos of places I knew. Almost makes we want to take a trip back in time! This Forgotten Chicago site has been an incredible exposure to things known and unknown about a great city and the area. You know, you lived in the area. This is fabulous — particularly as a Chicagoan, I love it. Following you from A-Z! Forgotten Chicago on Facebook has its share of snarky people who get tense when they think something should or should not qualify to be posted, but ignoring them, the photographs and comments collectively are just great. Thanks for taking the time to read the post. Come back, I’ll be waiting for you.